Pics.io is a cloud service built on top of Google Drive, and it works inside the browser on any device. There are no servers to worry about and no complex setup to slow down your work. 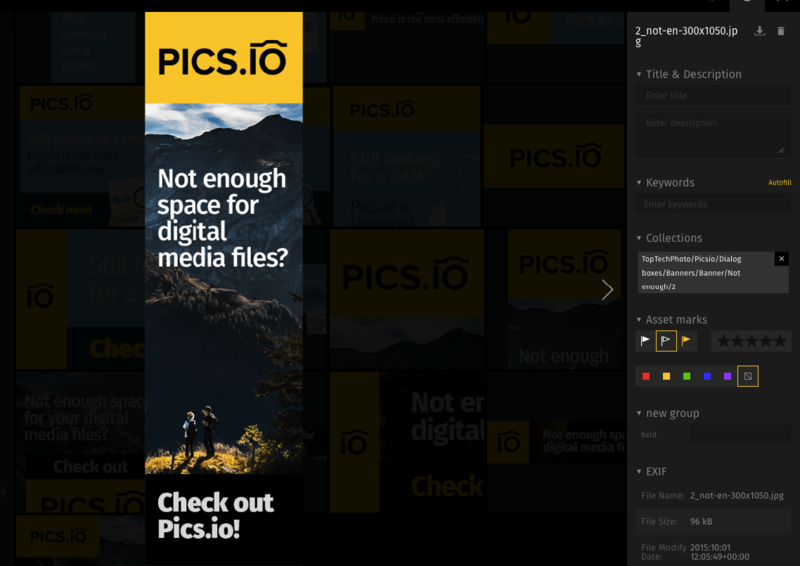 Pics.io supports over 60 file formats, so you can access all your photos, purchased stock, videos, audio, and product images from one central place. You can reclaim the hours spent on digging up photo archives and find files easily by keyword, description, and custom metadata. You can generate keywords automatically through their artificial intelligence engine. Pics.io makes it easy to add freelancers and contractors with just a few clicks as yo ur project is ramping up. When the project is winding down, it’s equally easy to scale back your creative staff and downgrade your subscription plan. With Pics.io, your team can make comments with visual marks and get notifications with our email and Slack integration. Comparing different versions is easy with the Pics.io visual diff tool, and you can be sure important changes are never lost thanks to our integrated revision control. Pics.io allows you to automatically create blazingly fast websites from a set of your digital assets. These websites can function as your portfolio, or as a way deliver your work to clients or share your assets with partners. Each website is connected to Google Analytics and can have a custom domain name. Still not convinced Pics.io is right for you? Use our Digital Asset Management Software product selection tool to browse additional solutions and get a custom recommendation. Have questions? Call, click, or email to get a free consultation from one of our unbiased Technology Advisors. 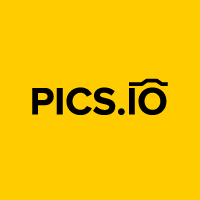 Learn everything you need to know about Pics.io. Our experts will reach out to you shortly.